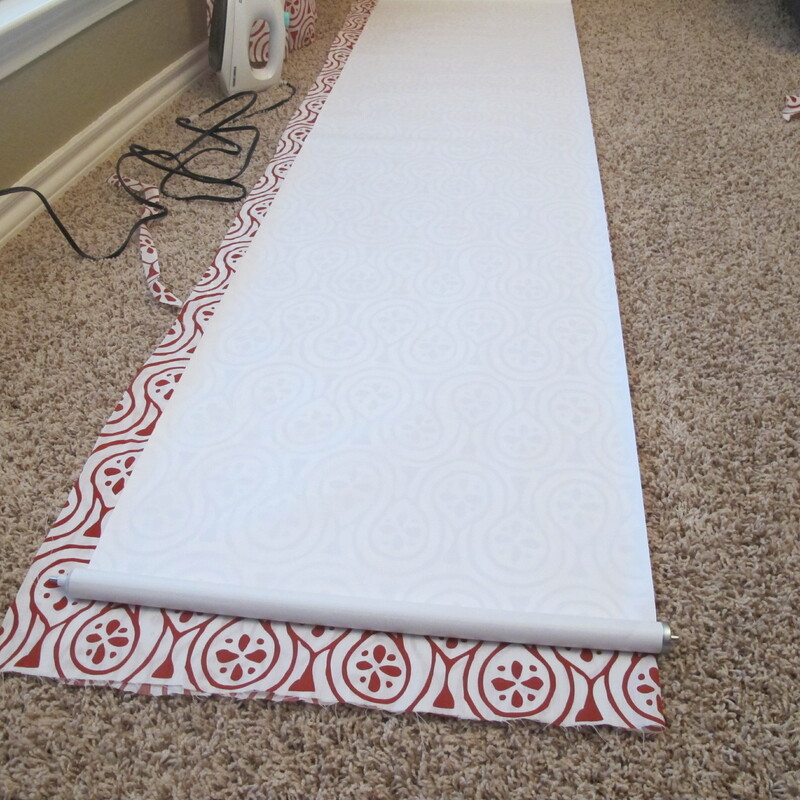 No-sew roller shades… Sort of. Projects involving fabric have never been my strong suit. 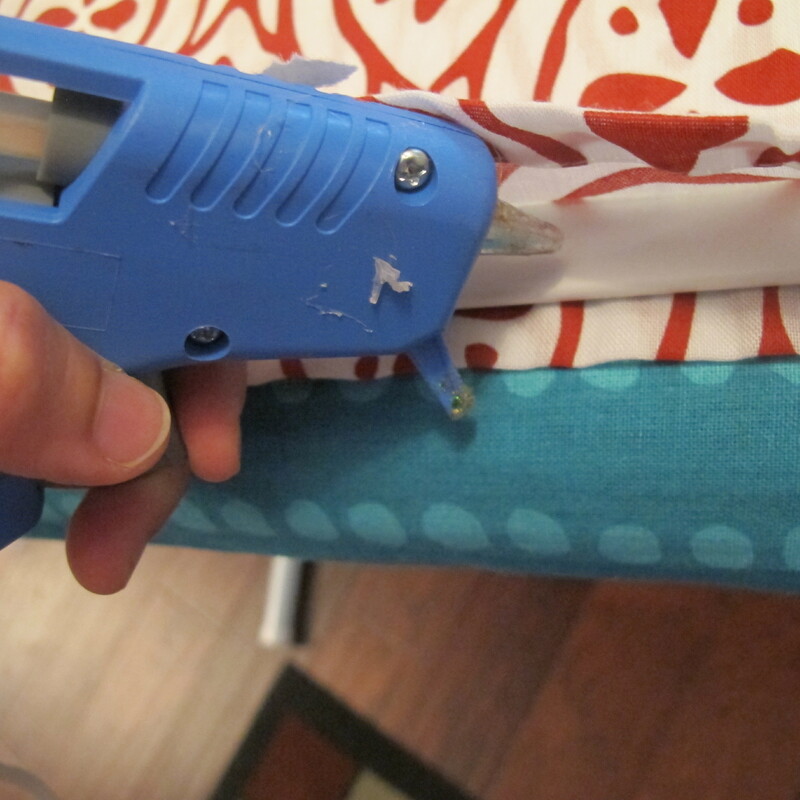 My lone fabric success story involves a recovered ottoman, which was really more about wielding a staple gun than actual “fabric work”. 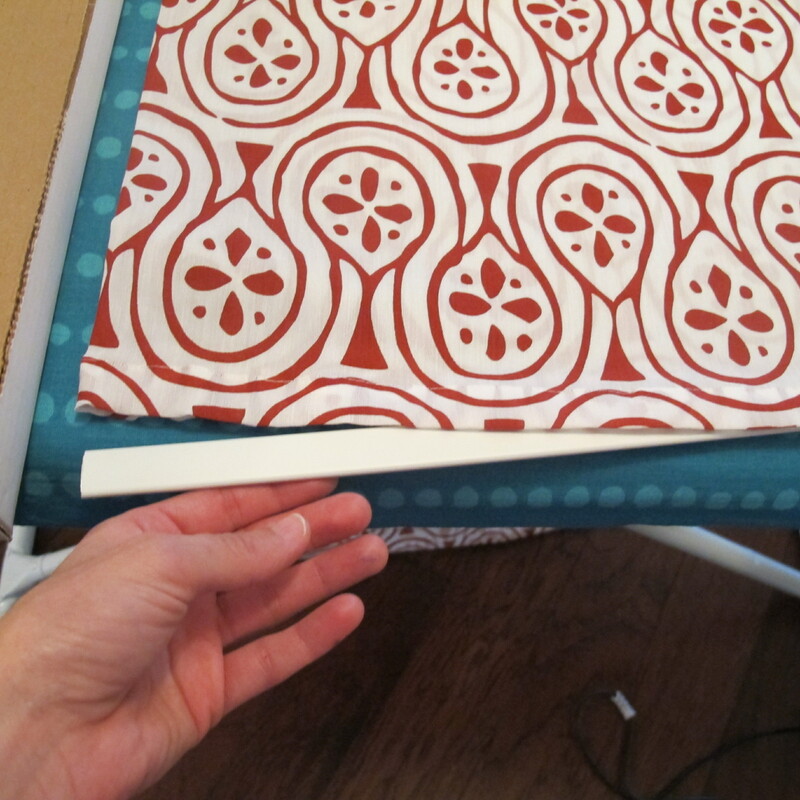 Knowing this, I should have probably known better than to totally wing it on DIYing fabric roller shades. But I did it anyways. 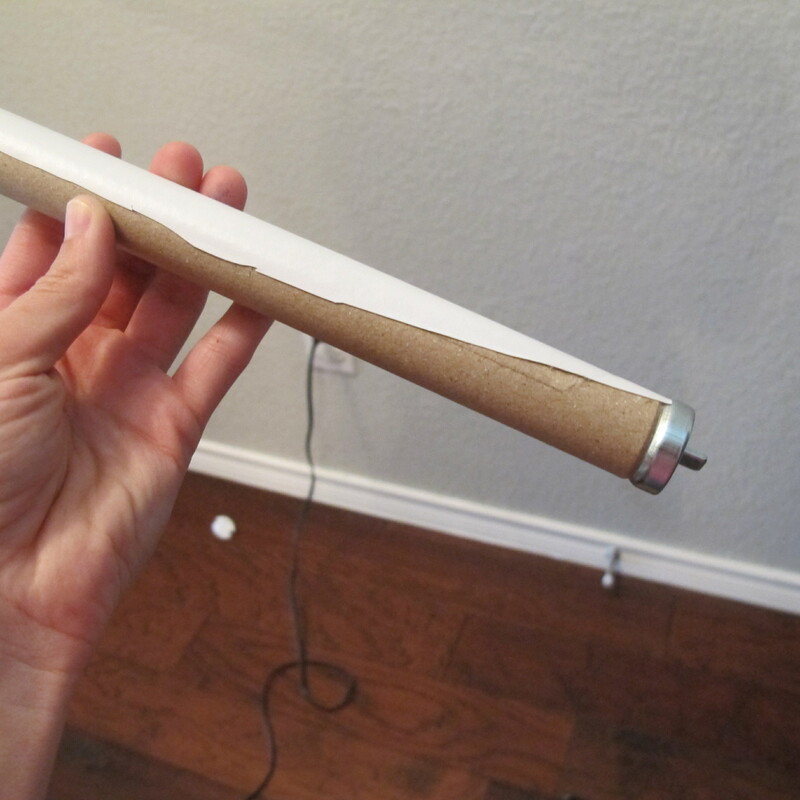 So, here’s a little “what not to do” tutorial…. 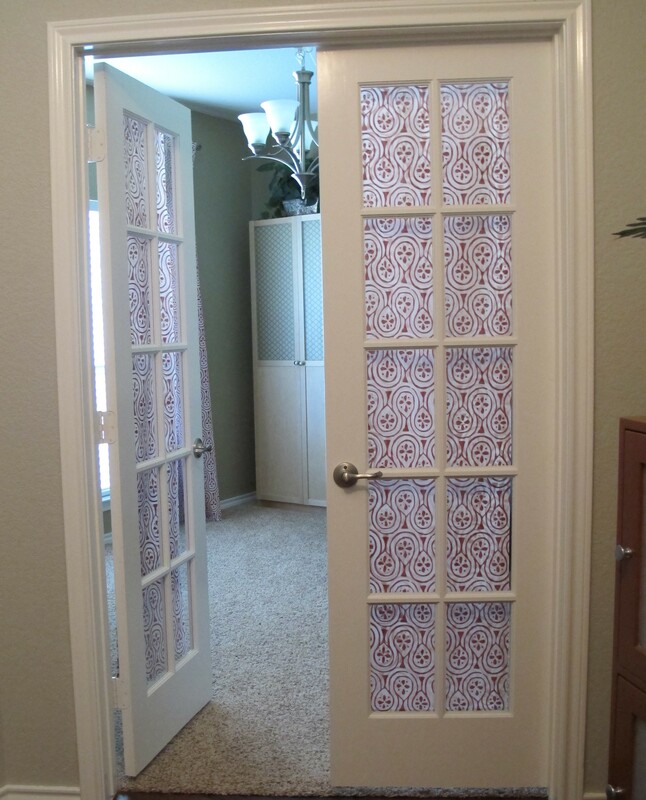 My idea for a solution to this issue was to hang roller shades above the glass on the inside of the french doors. This way, when they’re retracted, you can’t see them from the front, but they’ll still provide privacy for our guests when needed. 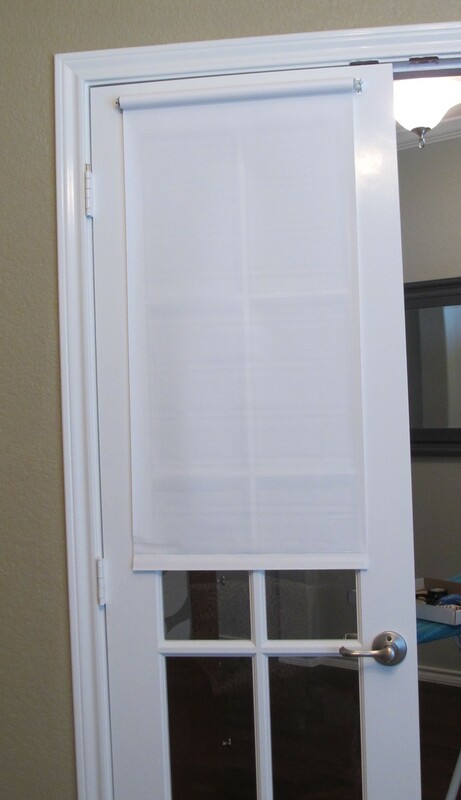 So with this plan in mind, I went to Home Depot and had two inexpensive vinyl roller shades cut down to size. They were just under 9 bucks a piece including the brackets which were sold separately. 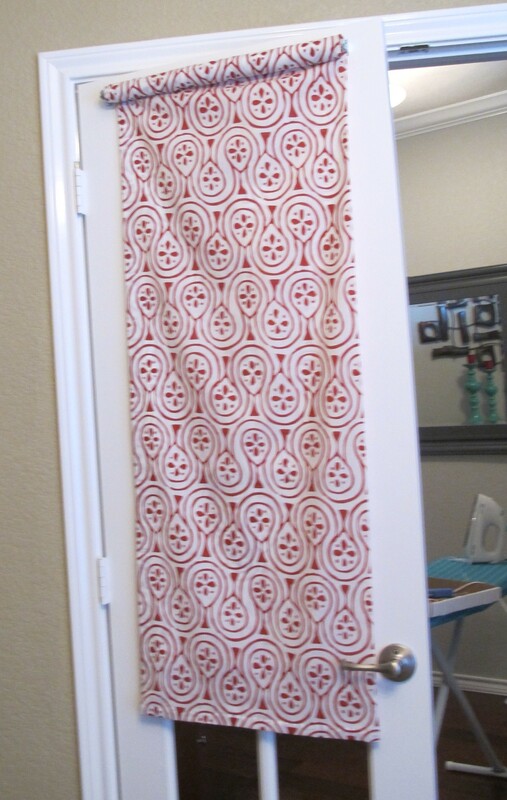 My first idea to jazz them up was to stencil a pattern onto them, but after doing a test stencil on a scrap piece of vinyl (from when the shade was cut to size), I decided that even a pretty stencil job couldn’t hide the cheapness of the vinyl. Then, I remembered that I had leftover fabric from an extra set of Ikea curtains that matched the set in the front room. Perfect! I thought about adhering the fabric to the existing shade, but decided that since I wanted the fabric to be visible on both sides, my finished product would probably be too heavy to work properly. Thus, a fabric replacement shade would be my mission. 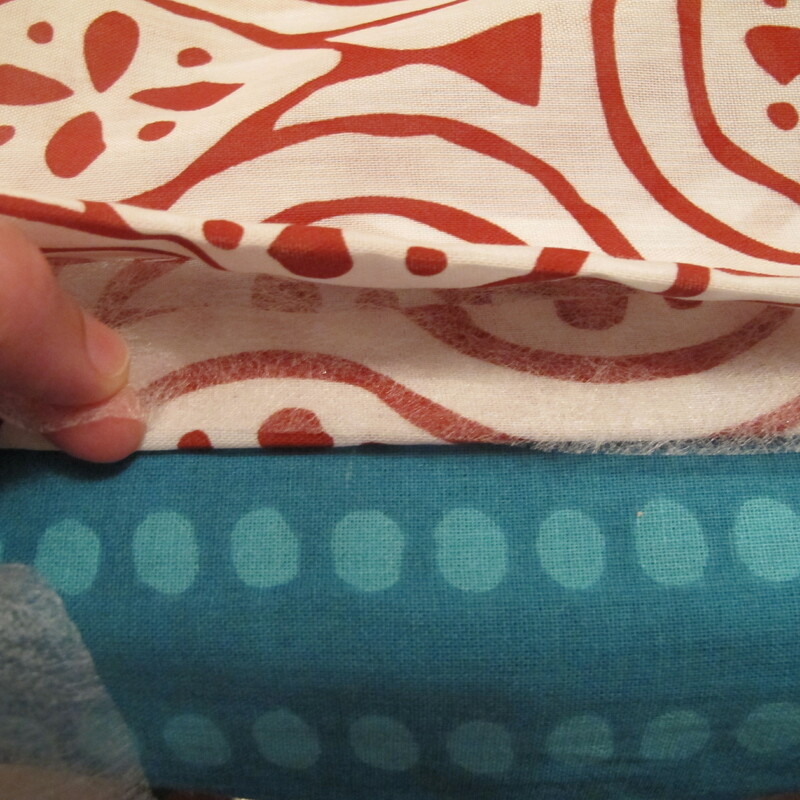 I started by folding my fabric in half since I wanted my shades to be double-sided. I ironed the fold to create a crisp edge (To clarify: I turned the fabric good-side-out before ironing. I just forgot to snap a pic.). Then, I laid my roller shade on top. 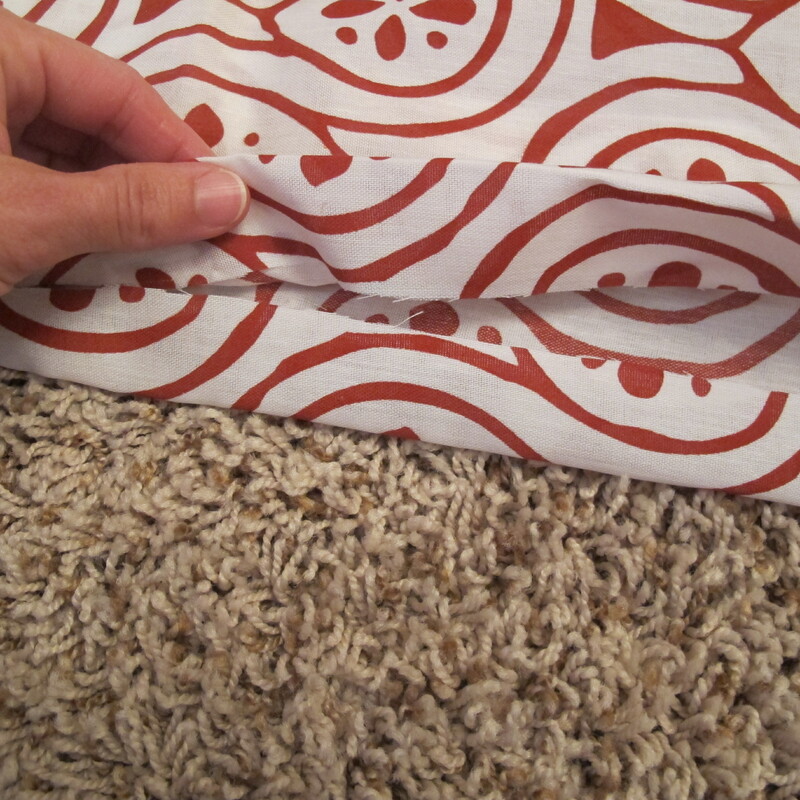 My roller shade was 18″ wide, and I wanted to cut my folded material an inch wider to allow excess material to fold under to create a clean edge (which would then be sealed with my iron-on hem tape). So, I laid my ruler down on the shade with one inch hanging over and slid the ruler up the shade as I cut with my scissors trailing behind (Which left an inch of excess material all the way up). Once I got to the top, I mimicked the length of the shade. Next, I used my finished panel as a template to cut a second panel. 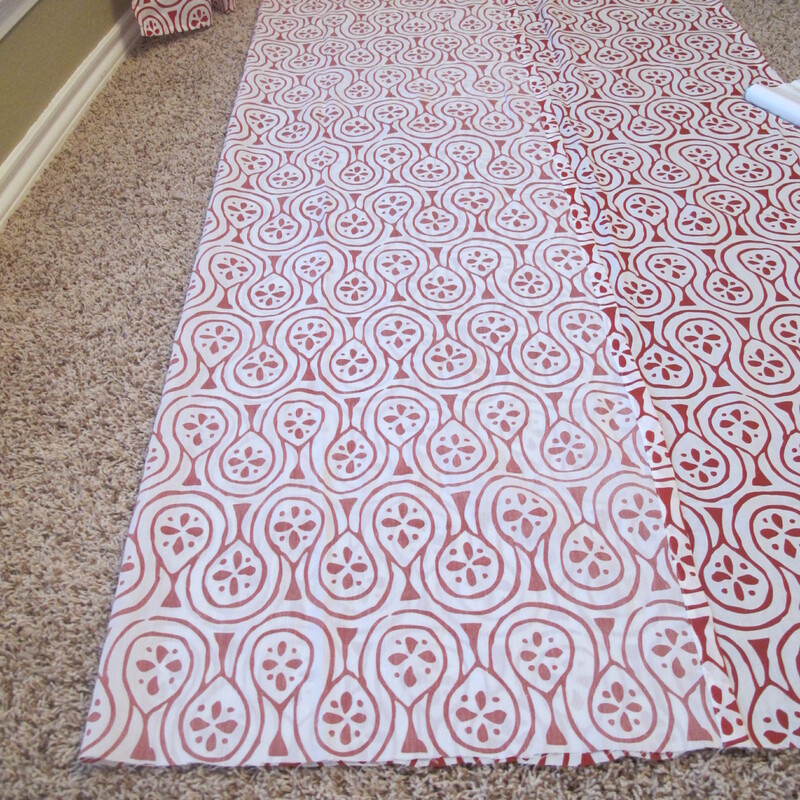 I used iron-on hem tape to seal the edges together down the long side of the fabric. 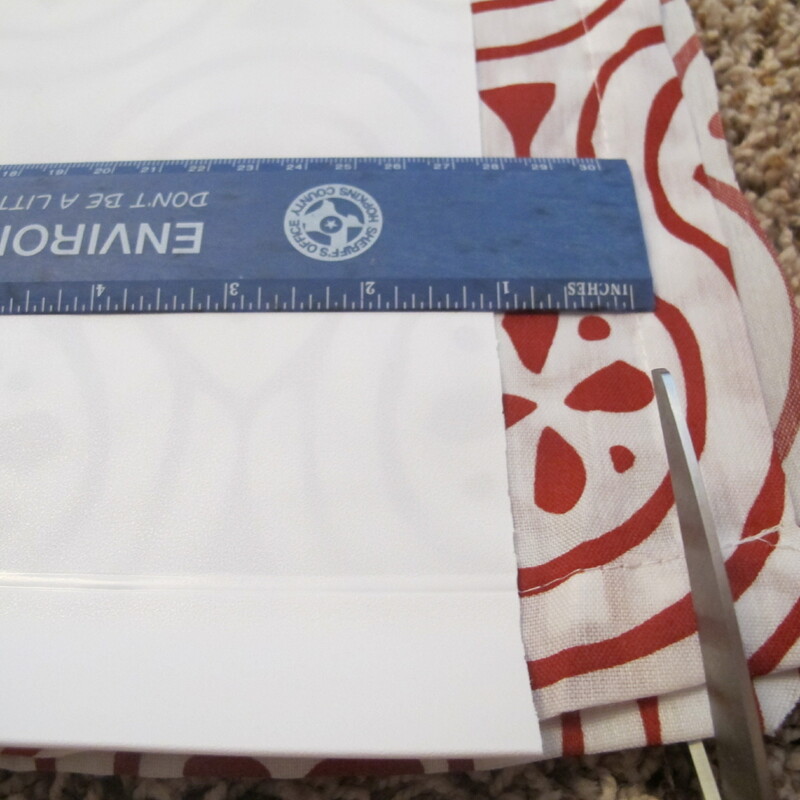 Next, I hot glued the plastic insert (which goes at the bottom of the roller shade to give it some weight), between the bottom seams of my fabric. 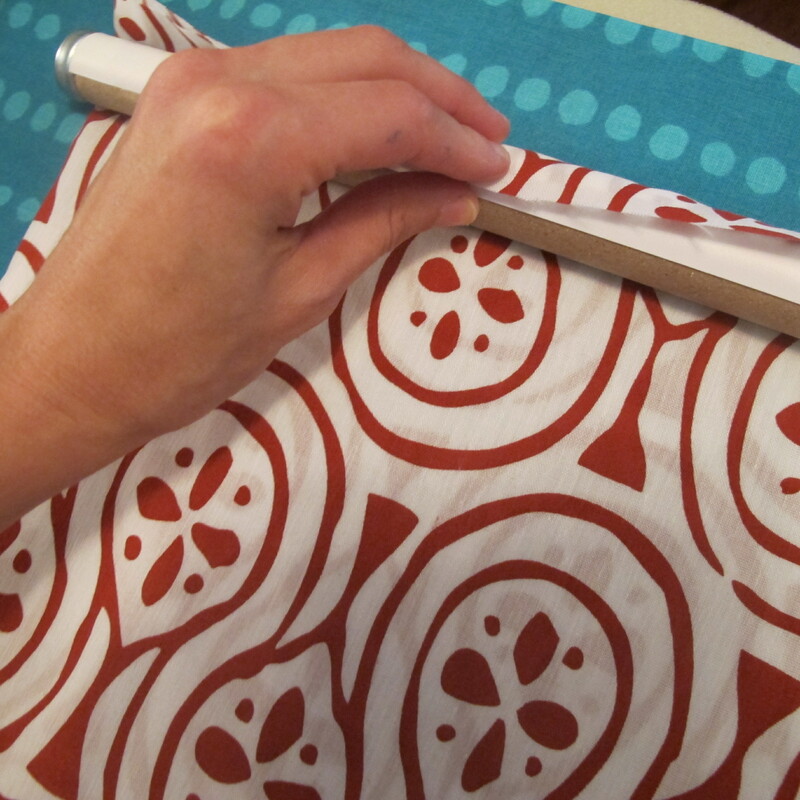 I cut the vinyl shade off of the roller, and hot glued the top of the fabric to the roller. 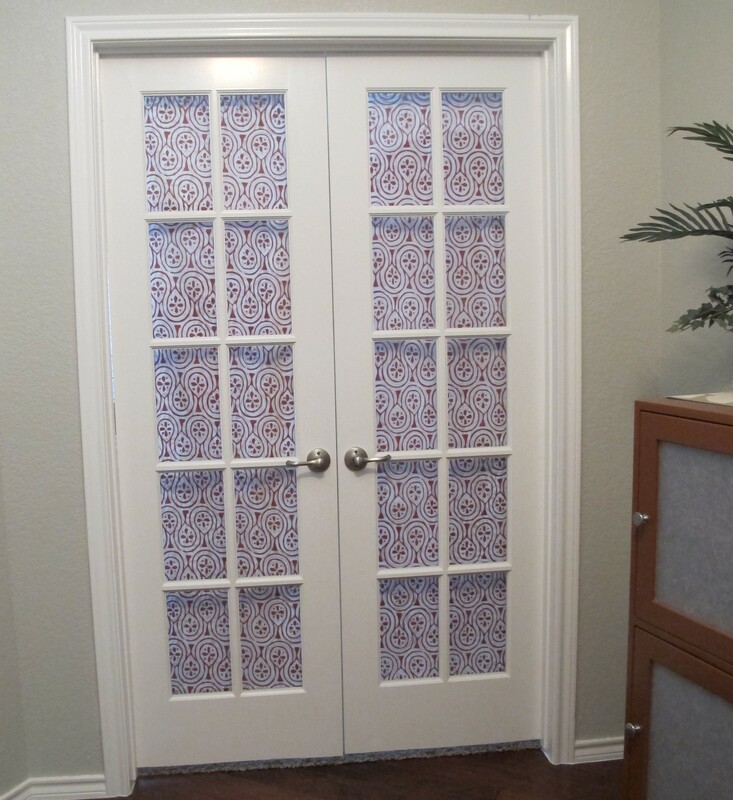 With my shade complete, I mounted my brackets on the inside of the door and hung it up. I tugged on the bottom of the shade to get it to retract. This is when I realized I had glued the fabric onto the roller in the wrong direction, rendering the retraction mechanism useless. 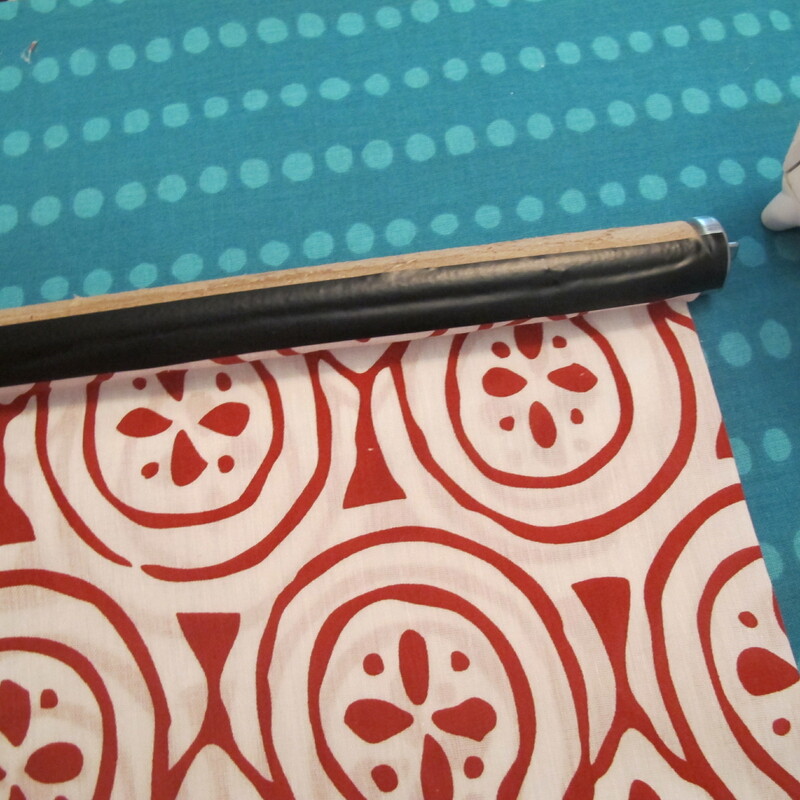 So, I groaned loudly while taking down the shade, and gently ripped the fabric off of the roller. I turned the roller the other way, and this time I taped the fabric on with electrical tape (it was all we had) to make sure the shade worked before I adhered it more permanently. I rehung the shade and tugged. And the shade came right off the roller. Ugh. Tape = Fail. So, I took down the roller again and this time, hot glued AND taped the shade on in the correct orientation. I rehung it yet again, tugged, and it finally retracted. But only this far …. Doh! Nothing I did made it raise up any higher. I thought maybe it was the weight or bulk of the fabric (…which really wasn’t bad, but still…). 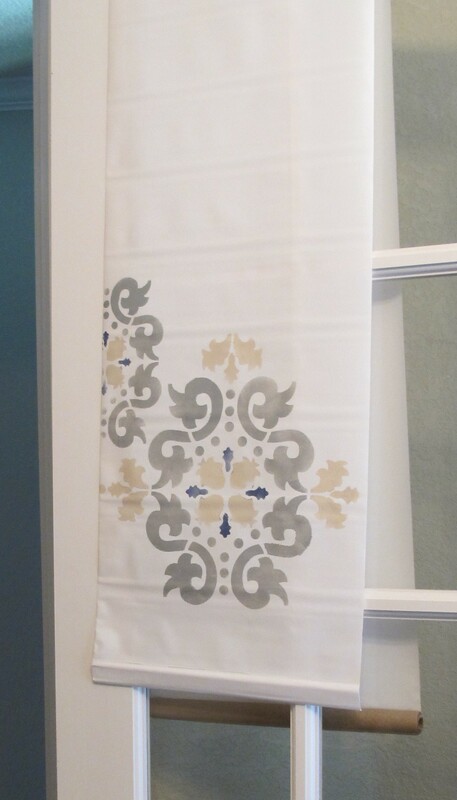 At this point, I’d already finished the second fabric panel but hadn’t yet opened the vinyl shade to attach it. So, I gave up and decided to hang the remaining vinyl shade on the brackets. I figured I would just buy another vinyl shade to replace the one I’d destroyed until a better plan came to fruition. I placed the vinyl shade on the brackets, tugged to retract it. And it went up this high…. Then, I laughed. Because I wanted to cry. So, (ahem!) the first step in this project should definitely be Test Roller Shade To Make Sure It Works Before Spending An Exorbitant Amount Of Time Reinventing The Wheel. Sheesh. So, there I sat. On our couch. Staring at my one completed shade which I had rehung on the French doors. Slapping my forehead. Searching my mind for a solution to our privacy dilemma since we were having guests in a few days. And I came to the decision that until a better solution is found, I would complete the second shade and keep them both rolled up here…. In my cabinet of misfit toys (um, accessories). 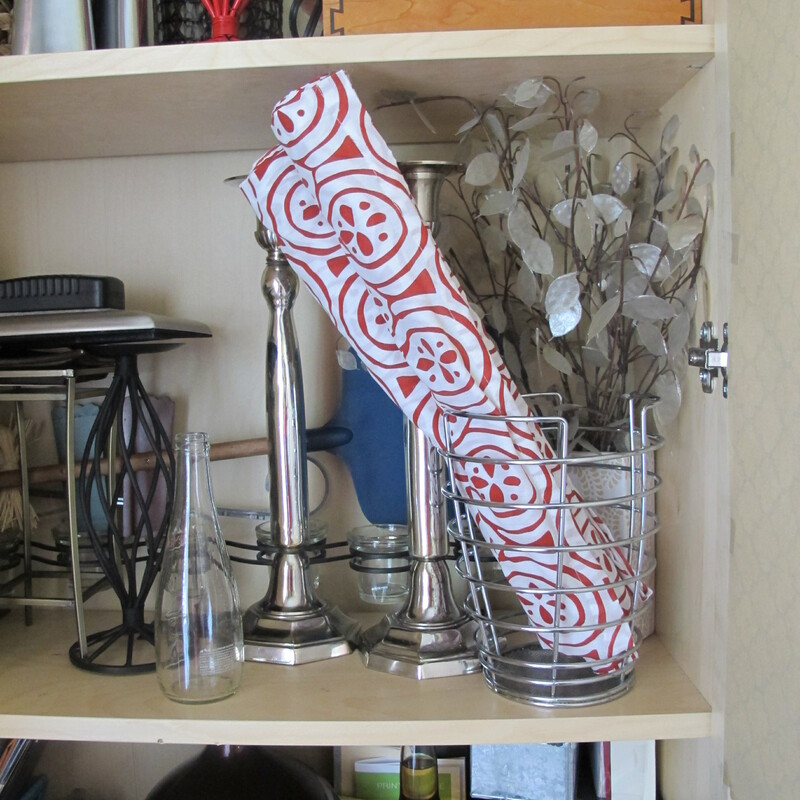 And just manually hang them on the brackets whenever guests stay over. Just ignore the fact that they should retract. Pretend the mechanism didn’t exist at all. I mean, it really didn’t anyways. And from the front they actually look pretty cute. 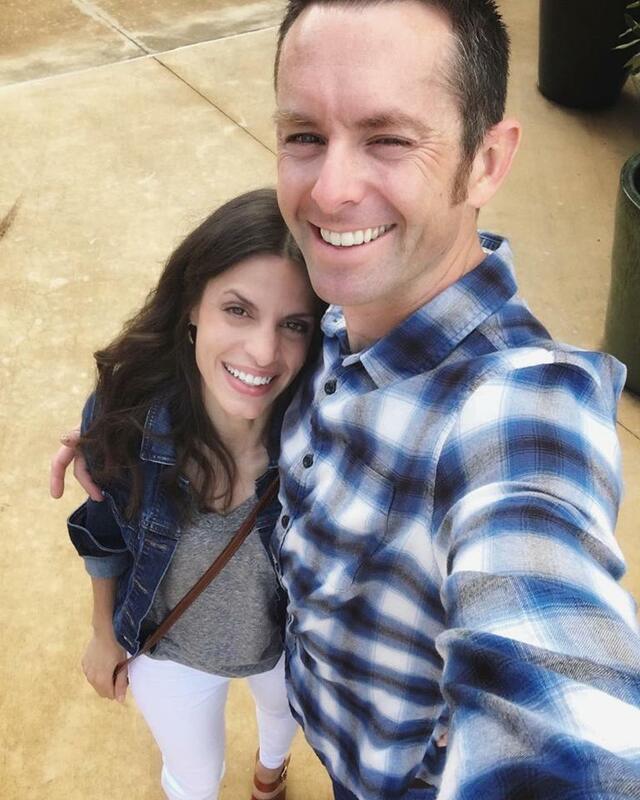 See?? A little loosey goosey for my taste but not totally bad. And they do their job as far as providing privacy. So, that’s the story. 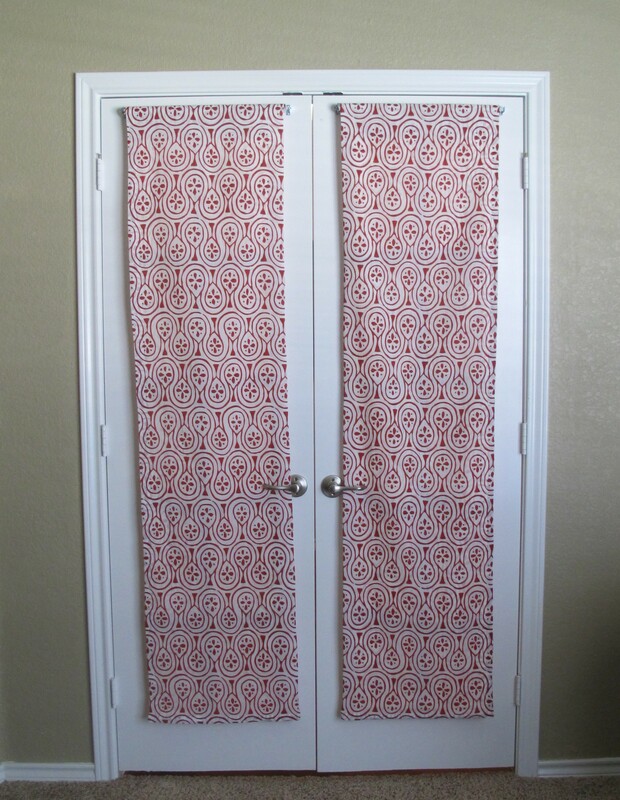 I think maybe if I’d purchased heavy-duty roller shades instead of the cheapos this project might have worked. And if I had it to do over again, I would probably use a heavier fabric, and adhere the insides of the fabric together to prevent the shade from becoming bunchy when rolled up. I also would (*cough, cough*) do a little research. But honestly, as far as “totally winged it” projects go, it could have been worse. I still ended up with “privacy panels” (Yes. That’s what we’ll call them.). I guess, you live, you learn. I don’t understand your level of craftiness. Even if I had researched I couldn’t pull off what you did. And you didn’t even get it totally right! Imagine what I would have ended up with. I can’t iron or hot glue. I am useless. simply amazing! You must have taken after me! Creativity is the willingness to make mistakes – “art” is knowing which ones to keep. The arty panels rock! lol…am cracking up over you!! Your patience is astounding and your creativity is mindblowing. Keep up the good creative work! The panels look great! 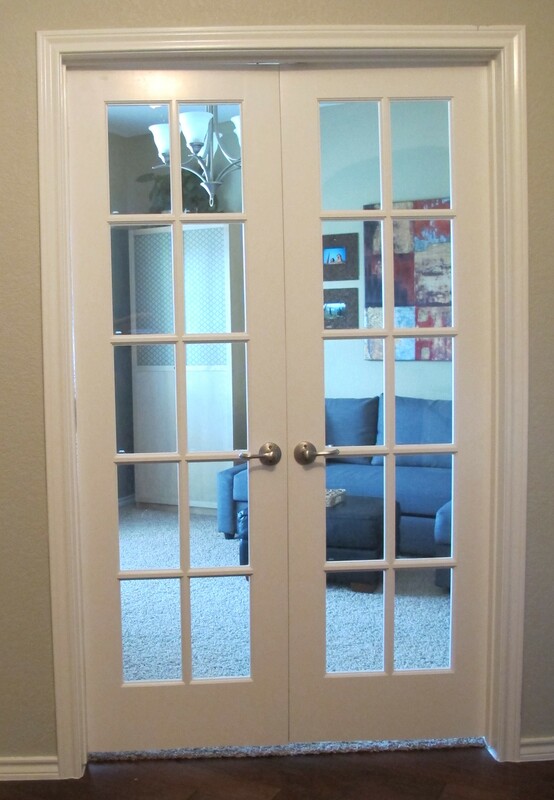 After all that effort you could have ended up with nothing on the doors, but instead you came up with another creative and innovative idea that works! 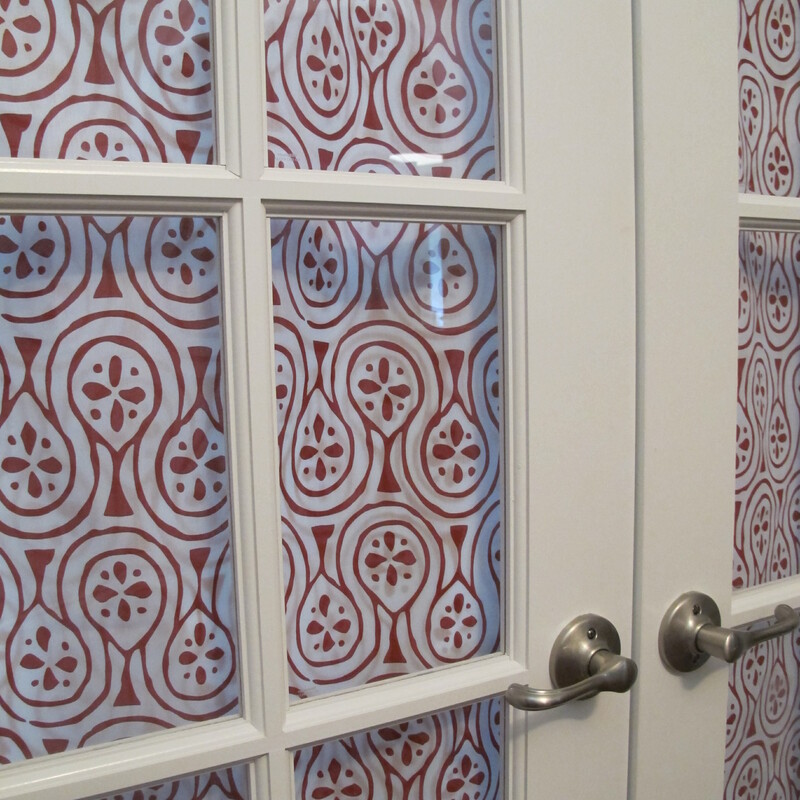 Temporary as it might be, your guests will still have privacy and enjoy the pretty pattern! Good job!